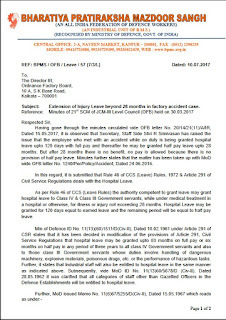 Extension of Injury Leave beyond 28 months in factory accident case – BPMS BHARATIYA PRTIRAKSHA MAZDOOR SANGH (AN ALL INDIA FEDERATION OF DEFENCE WORKERS) (AN INDUSTRIAL UNIT OF B.M.S.) 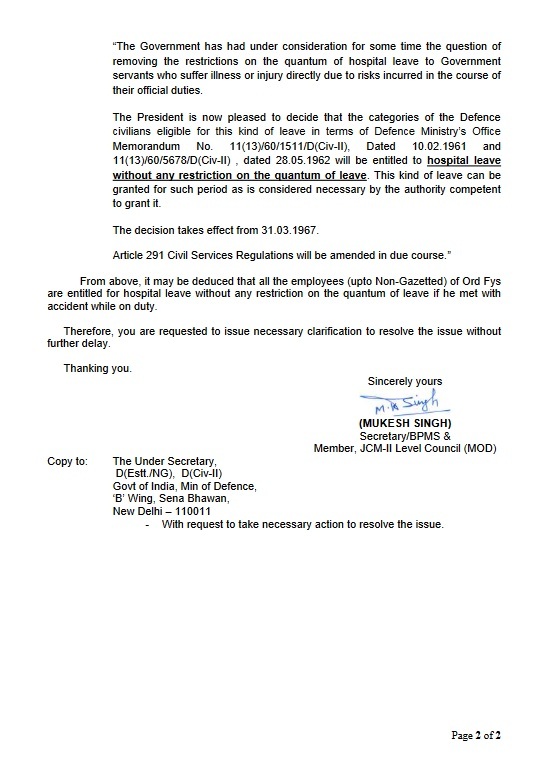 (RECOGNISED BY MINISTRY OF DEFENCE, GOVT. 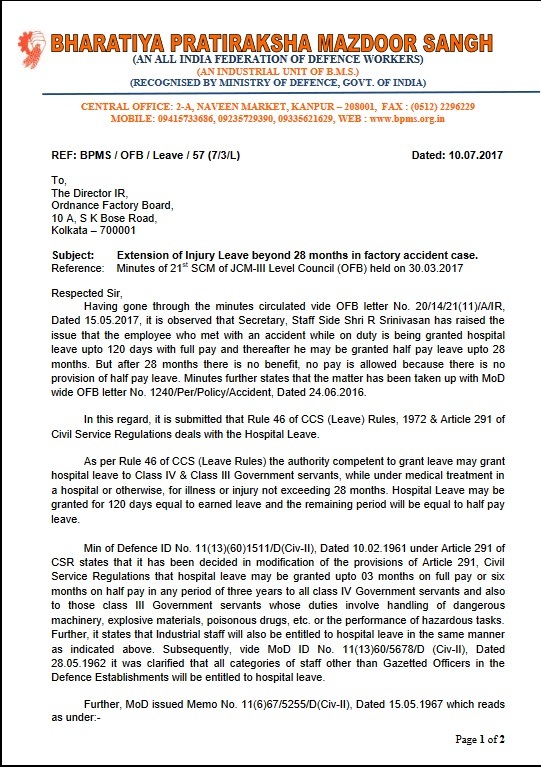 OF INDIA) REF: BPMS / OFB / Leave / 57 (7/3/L) Dated: 10.07.2017 To, The Director IR, Ordnance Factory Board, 10 A, S K Bose Road, Kolkata – 700001 *Subject: Extension of Injury Leave beyond 28 months in factory accident case. 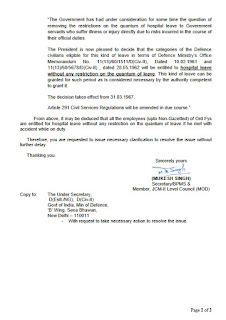 * Reference: Minutes of 21st SCM of JCM-III Level Council (OFB) held on 30.03.2017 Respected Sir, Having gone through the minutes circulated vide OFB letter No.20/14/21(11)/A/IR, Dated 15.05.2017, it is observed that Secretary, Staff Side Shri R Srinivasan has raised the issue that the employee who met with an accident while on duty is being granted hospital leave upto 120 days with full pay and thereafter he may be granted half pay leave upto 28 months.